Última edición por A.P.M. fecha: 19-jun-2014 a las 22:49. Mar 2013 | 3.973 Mens. Abr 2003 | 4.642 Mens. Qué asco el pu** techo partido en tres por dios!! Dic 2010 | 3.819 Mens. Sep 2008 | 10.285 Mens. uf que bonico , voi a abrir el photoso. Sep 2008 | 127.925 Mens. Feb 2013 | 3.629 Mens. Igual pero Cabrio, fácil imaginarselo ¿no? A + velocidad, + golpe !! Feb 2010 | 742 Mens. Nov 2007 | 5.063 Mens. No termino de convencerme la terminación con techo así; se que es dificil encuadrar el diseño de un techo rigído practicable pero es que estéticamente no lo veo pufffff. Woodcliff Lake, NJ – April 3, 2014. . . 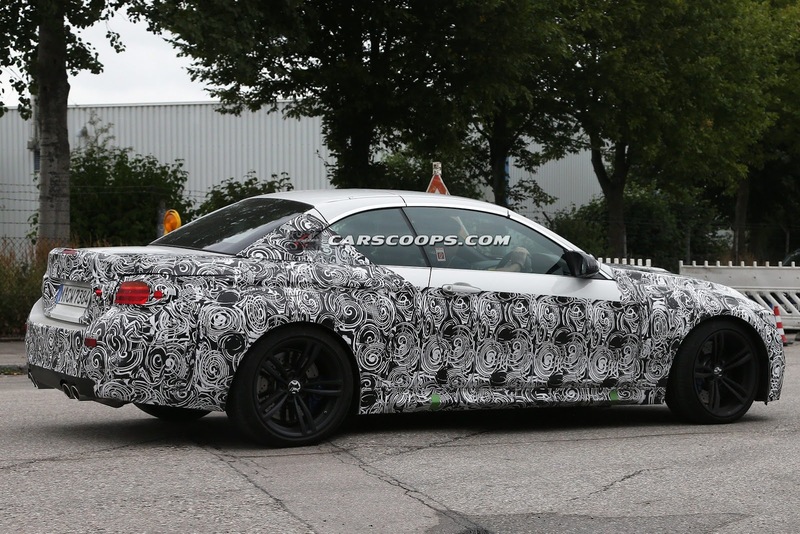 The all-new BMW M4 Convertible arrives in US showrooms this summer to join the M4 Coupe and M3 Sedan. 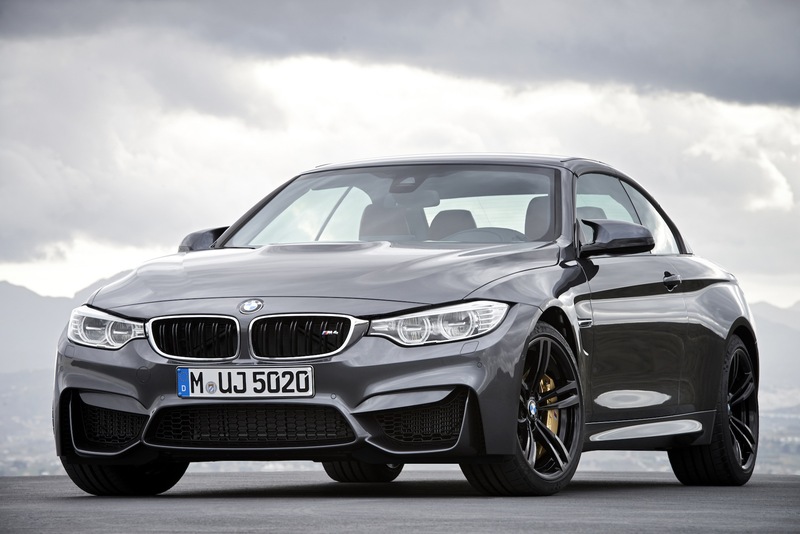 The 2015 BMW M4 Convertible is powered by the same BMW TwinPower Turbo 3.0-liter inline-six as its siblings. That engine produces 425 horsepower and 406 lb-ft of torque and can be mated to either a 6-speed manual or 7-speed M DCT transmission. 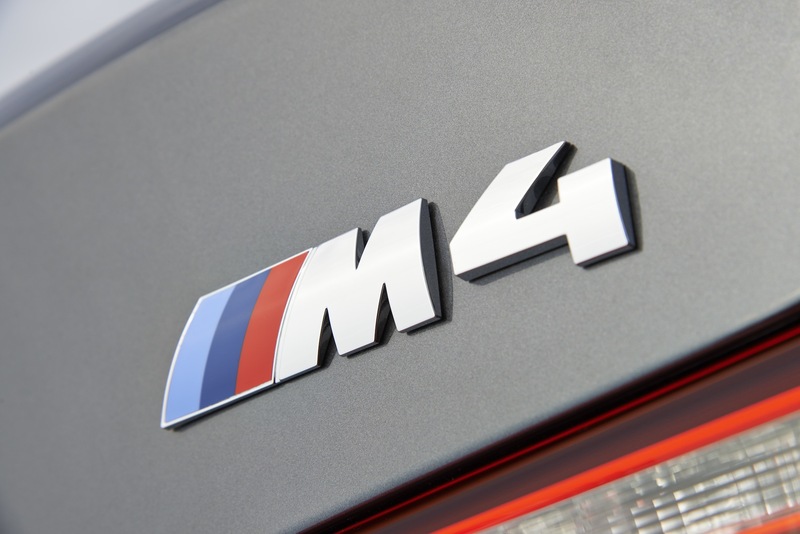 The new BMW M4 Convertible makes its world debut at the 2014 New York International Auto Show. 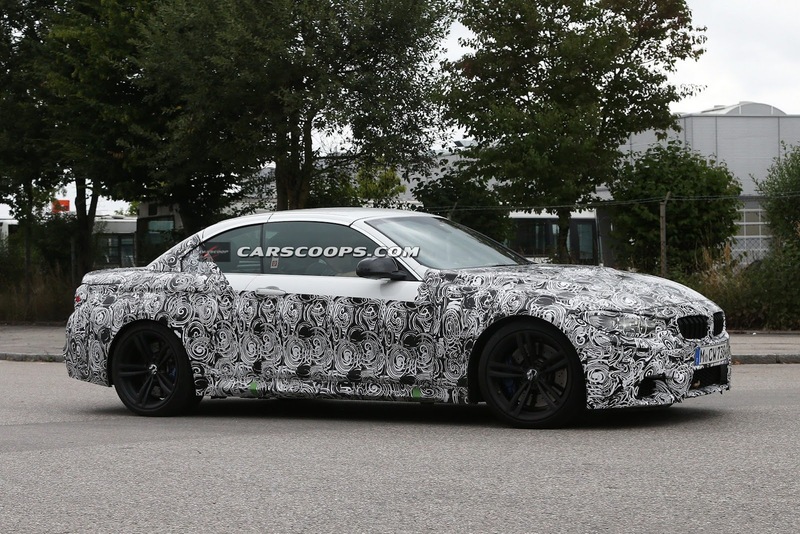 Like the new BMW M3 Sedan and new BMW M4 Coupe, the new M4 Convertible sees a return to an inline-six engine, as used on the second and third generations of this iconic open sports car. The new turbocharged engine combines the best of both worlds – reaching a maximum 7,600 rpm, it is unusually high-revving for a turbocharged engine, resulting in linear power delivery over a wide engine speed range and a soulful engine note, while M TwinPower Turbo technology ensures that peak torque is on tap over a broad rpm range. A further hallmark of this engine is its outstanding efficiency. 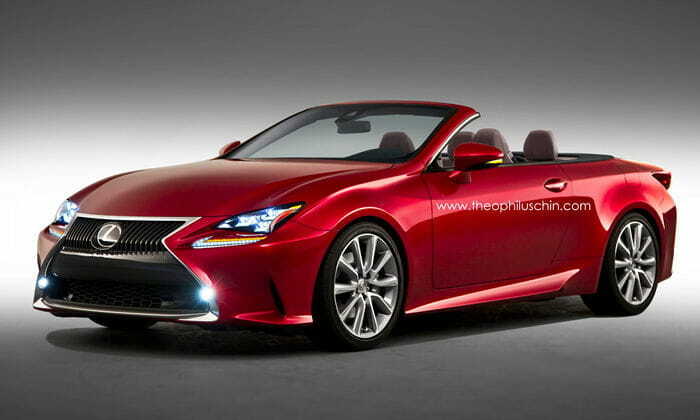 The new engine sees a power upgrade over the previous V-8 to 425 hp, which is delivered between 5,500 and 7,300 rpm. Peak torque has been increased by roughly 40 percent to 406 lb-ft, and is maintained over a very wide rev band (1,850–5,500 rpm). 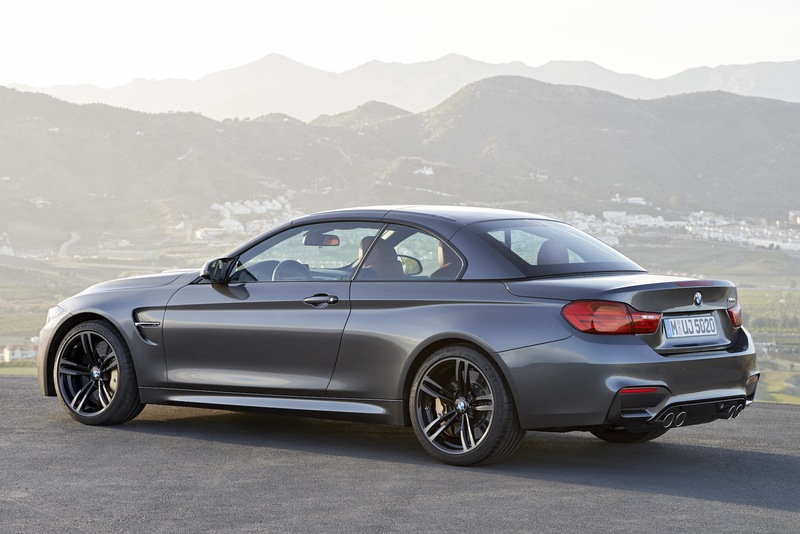 The sprint from zero to 60 mph takes the new BMW M4 Convertible just 4.4 seconds with the 6-speed manual. Equipped with the 7-speed M Double Clutch Transmission, this number falls to 4.2 seconds. Top speed is 155 mph (electronically limited). The BMW M TwinPower Turbo engine hits maximum revs of 7,600 rpm, in keeping with the typically high-revving character of M engines. 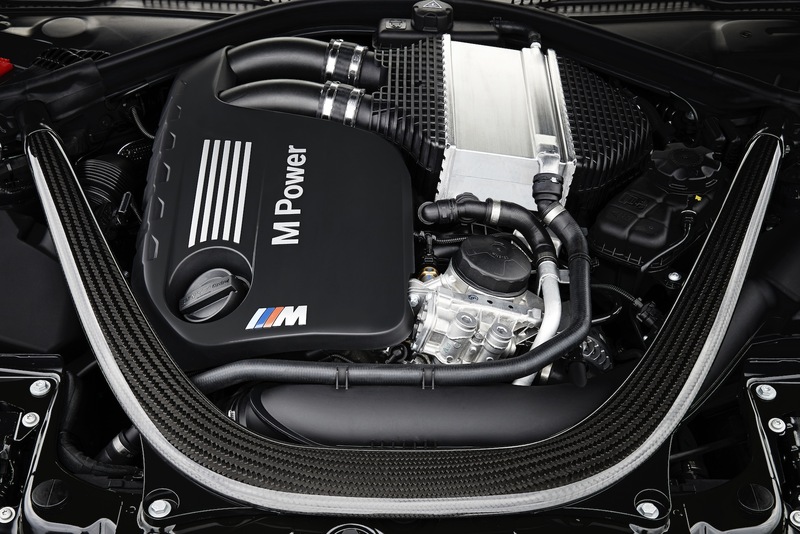 The M TwinPower Turbo technology comprises two fast-responding mono-scroll turbochargers, High Precision Direct Injection, Valvetronic variable valve timing and Double- VANOS continuously variable camshaft timing. Valvetronic and Double-VANOS work in tandem to seamlessly control intake valve lift. The result is smooth and efficient power delivery, very sharp response and reduced fuel consumption and emissions. Engine weight is further reduced by the forged, torsionally rigid crankshaft which, as well as saving weight, also provides increased torque-carrying capacity. This significantly reduces rotating masses, resulting in improved throttle response and acceleration. Innovative technologies delivering top-level performance. 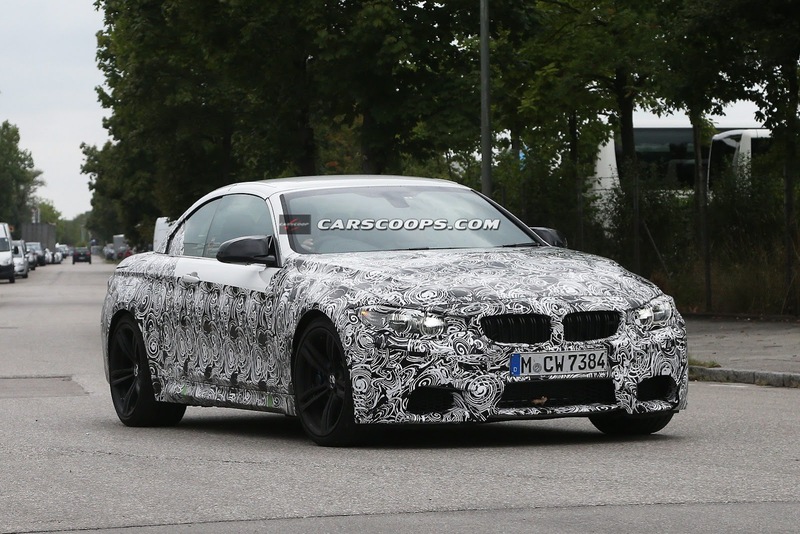 Power transfer in the BMW M4 Convertible is via a standard six-speed manual gearbox. Available as an option is the seven-speed Double Clutch Transmission M DCT, which allows the driver to change gears not only using the selector lever in the center console but also via the shift paddles on the steering wheel. This transmission effectively combines two gearboxes, each with its own clutch. This means gear changes are executed with no interruption in the flow of power – and the shift processes are therefore shorter. Drivelogic allows the driver to select from different shift modes, which see the M4 Convertible adopting a particularly comfort-oriented, economy-focused or ultra-sporty approach to gear changes when in automatic mode. The Launch Control function also integrated into M DCT enables optimum acceleration off the line. 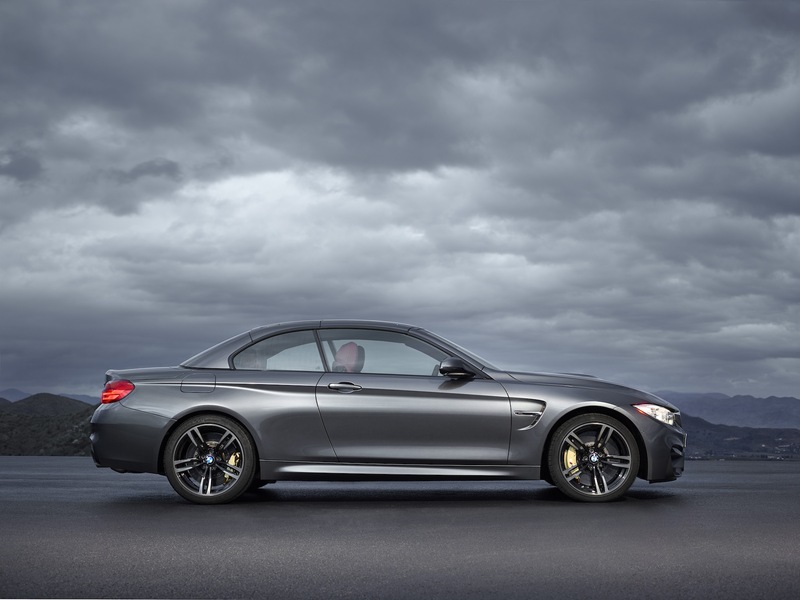 The standard Active M Differential optimizes traction at the rear axle. The electromechanical steering system, meanwhile, represents a new development from BMW M GmbH and is the critical component in the link between driver and car. It offers the gifts of direct steering feel and precise feedback. The integrated Servotronic function electronically adjusts the level of steering assistance according to the car’s speed, providing optimum steering characteristics at all speeds. Three steering settings (COMFORT, SPORT and SPORT+) can be selected at the touch of a button to adjust the level of steering assistance to the situation at hand and to the driver’s personal tastes. The optional Adaptive M suspension likewise comes with COMFORT, SPORT and SPORT+ modes. 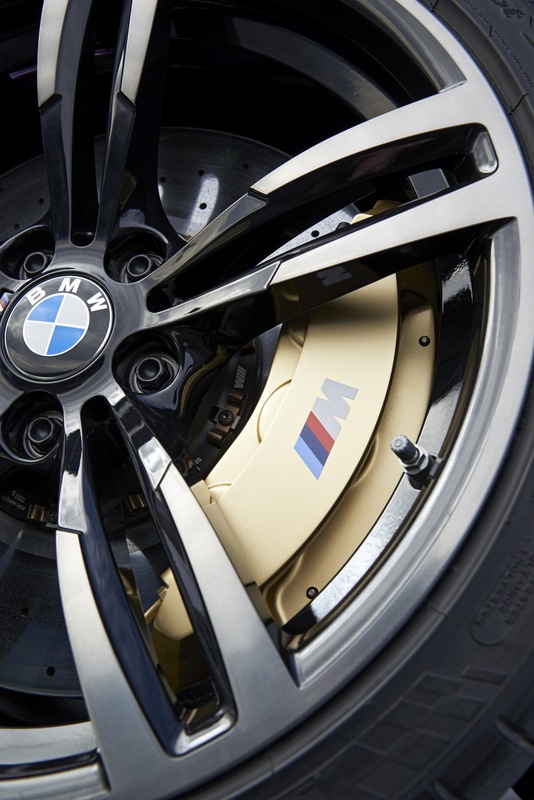 The BMW M4 Convertible is equipped as standard with M compound brakes, but customers can also order their car with even lighter and more effective M carbon ceramic brakes, which boast the additional visual highlight of gold-painted calipers. As well as outstanding dynamic qualities, intelligent lightweight design also allows the BMW M4 Convertible to claim exemplary efficiency. Its extensive weight-saving measures produce a curb weight of just 4,055 lbs – around 90 pounds less than its predecessor. Among the key contributors here are the aluminium front fenders and hood, with lightweight aluminium construction also a feature of the chassis. Extensive use is also made of a material that is both lightweight and extremely stiff, and therefore durable: carbon-fiber- reinforced plastic (CFRP). 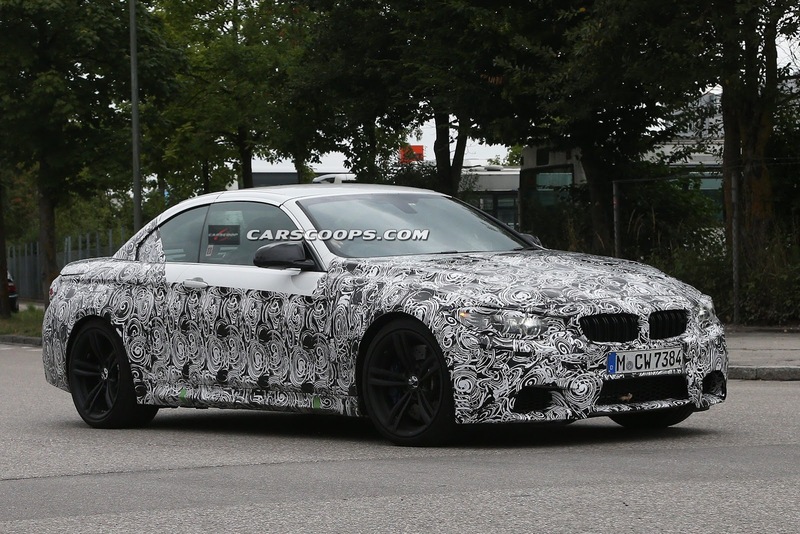 The new BMW M4 Convertible also features a CFRP drive shaft. The high rigidity and low weight of the CFRP tube mean that the drive shaft can be produced as a single-piece component, without a center bearing. This achieves weight savings of 40 percent over the previous model and a reduction in rotating masses, which in turn results in more dynamic powertrain response. The CFRP strut brace in the engine compartment is a further example of how all weight- saving measures on these vehicles have also been tailored to the improvement of driving dynamics. Weighing only 3.3 lbs, the strut brace offers superior rigidity to a comparable aluminum component and at the same time plays a key part in the excellent steering response and precision of both vehicles. The use of carbon is a reminder that BMW is a global leader in high-strength, lightweight CFRP construction, and that it was BMW who brought out the first mass-production vehicle with a body consisting entirely of this material – the innovative BMW i3. Design: the powerfully expressive face of BMW M.
Viewed from the front, the BMW M4 Convertible stands out most prominently with its powerful contours and a strongly defined three-dimensionality, which lends it a powerfully expressive face. Characteristic design elements leave no doubt that this car is the work of BMW M. There is the modern take on the twin headlight arrangement (with optional LED technology), for example, not to mention the distinctive twin-bar kidney grille with black painted grille bars – which reflect the design of the characteristic BMW M double-spoke wheels and bear the M logo – and the powerfully designed front apron with its trio of large intakes supplying cooling air to the high-performance engine and brakes. Among the other hallmark BMW M design features on display is the characteristic power dome on the hood, which hints at the potential of the brawny M TwinPower Turbo engine and creates space for the intercooler. And the striking exterior mirrors, with their suggested twin-stalk mounts, optimize the aerodynamics of the new BMW M4 Convertible. 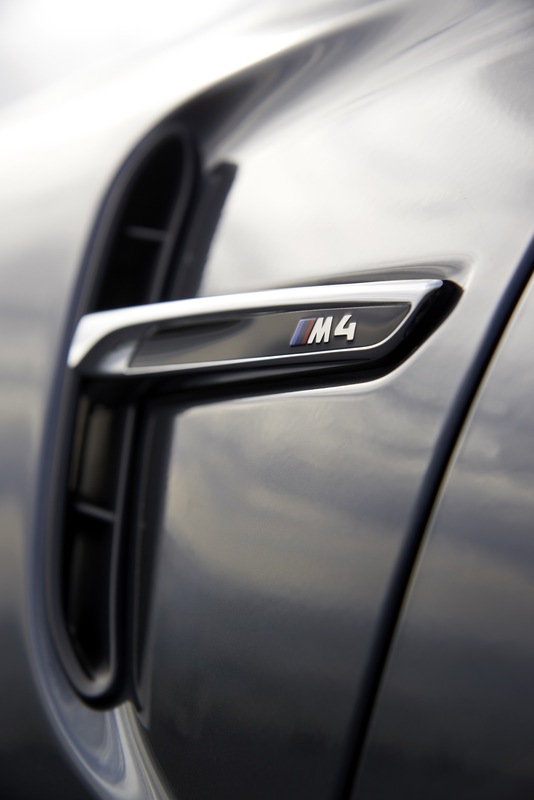 The profile of the M4 Convertible extends the dynamic impression created by its front end. The hallmark BMW proportions of a long hood, long wheelbase, set-back glasshouse and short front overhang are lent further emphasis by familiar M design elements. 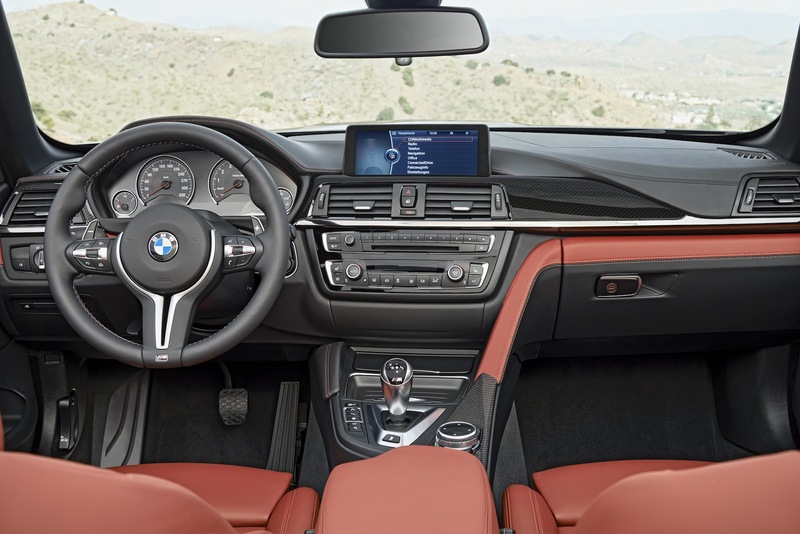 Climbing into the BMW M4 Convertible, drivers will be greeted by an interior architecture complete with unimpeachable ergonomics and clear driver focus. In keeping with its character, however, the interior fulfils an even more sharply defined sporting brief. To this end, the host of traditional BMW M equipment details includes M door sill finishers, an M driver’s footrest, M gearshift lever, M-design circular instruments with white graphics, M leather steering wheel with chrome trim, color contrast stitching and electroplated-look shift paddles (if the M-DCT gearbox is specified). The front seats also represent an evocative expression of BMW M’s motor sport genes. Taking visual inspiration from the bucket seats fitted in racing cars, the seats feature a full- size single-piece back panel. This means the construction of the seats is very flat, while the high, width-adjustable side bolsters and low-set seat surface allow an ideal seating position and provide excellent support. Despite their undeniably sporty design, the BMW M sports seats can be equipped with comfort-enhancing features including electric adjustment and heating. On the seat surface, the stitching, upholstery segmentation and perforation lend the seats a slim-fitting feel. Illuminated for the first time, the BMW M logo on the seat backrests adds a new and exclusive highlight. The BMW M4 Convertible stands out with an interior that is exclusive and functional in equal measure. For example, the M Sport leather multifunction steering wheel is standard, as are bucket-style M sports seats. New to this generation of Convertible are the available three-temperature neck warmers allow for comfortable open-air driving at high speeds and low temperatures. Drivers of the BMW M4 Convertible can look forward to piloting their car from behind a double-spoke M leather steering wheel. 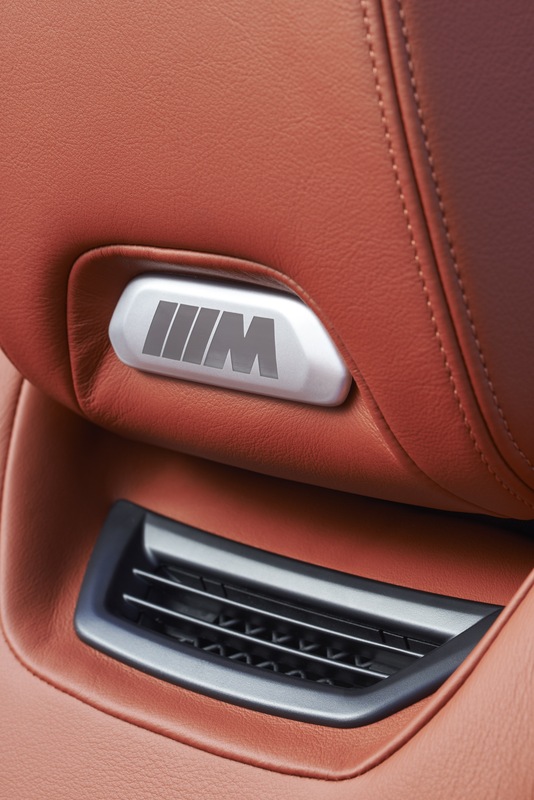 The M logo, chrome trim and color contrast stitching are central elements of the cabin’s racing ambience. Both models come standard with a 6-speed manual gearbox, while the 7-speed M Double Clutch Transmission is available as an option. M-DCT allows the driver to change gears using either the selector lever on the center console or the shift paddles mounted on the steering wheel. 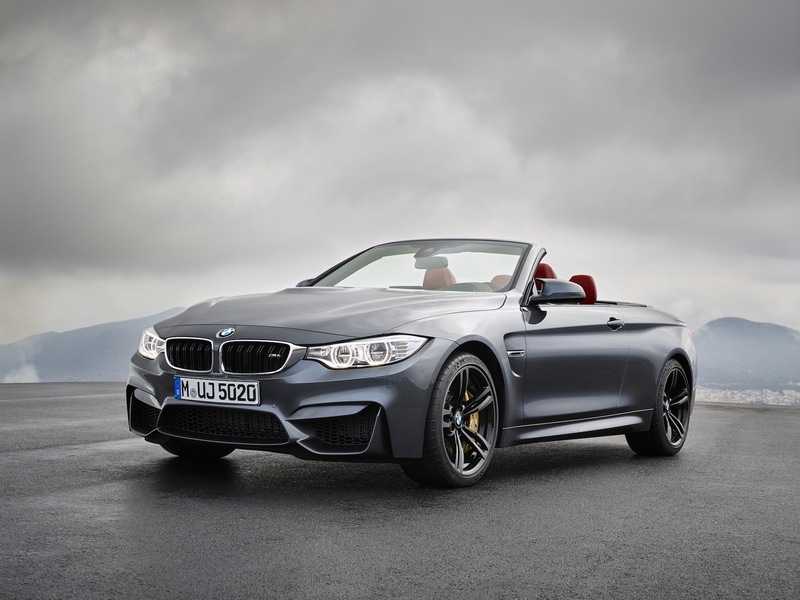 The BMW M4 Convertible offers outstanding everyday driving qualities and a dynamic design, with the top up or down. These seemingly contradictory qualities were already combined in the BMW M3 Convertible, the predecessor that set standards for premium mid-size convertibles. The hardtop of the BMW M4 Convertible features a number of design improvements that reduce noise levels for a much quieter interior ambience. The sound-absorbing headliner also reduces wind noise by up to 2 dB in comparison to the predecessor model. When the top is up, the luggage compartment has a volume of 13.0 cu. ft. (370 liters) – that is 0.7 cu. ft. (20 liters) more than available in the BMW M3 Convertible. All trunk volumes are based on ECE measures. Even bulky items can be transported with the BMW M4 Convertible. A flat and level storage area can be utilized when the backrest of the rear bench seat is folded down. The load-through feature, which is standard in the US, makes even more space available: Either a wide opening between the rear passenger compartment and the trunk, or a smaller opening, for skis for example, when four people are seated in the vehicle. All it takes is the push of a button to transform a dynamic coupe into an elegant, athletic convertible in a mere 20 seconds. The top can also be lowered when the vehicle is travelling at speeds of up to 18 km/h (approx. 11 mph). The redesigned windblock is standard in the US. The windblock is now smaller, lighter and easier to use, plus it is more effective than previous variants. When it is not needed, the windblock can be stored behind the rear seat to save space, which is also a new feature. 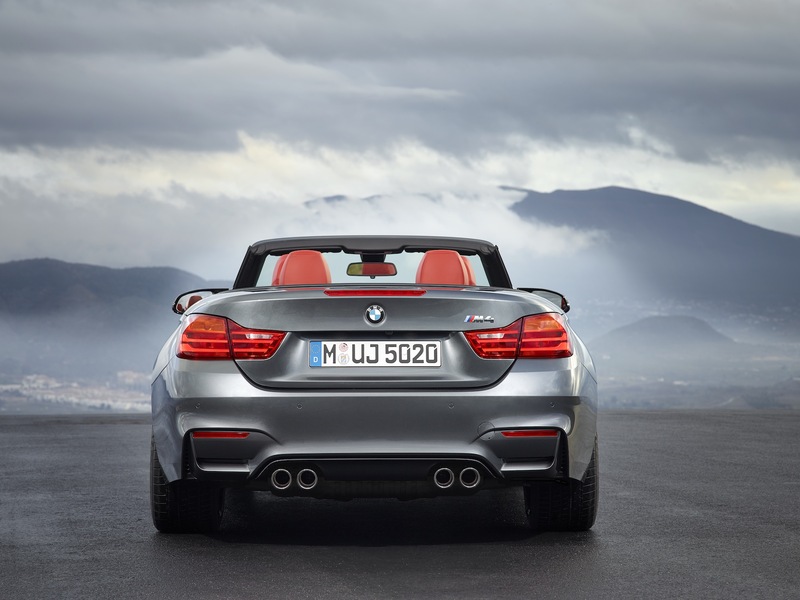 The BMW M4 Convertible also has plenty of space in the trunk, even when the retractable hardtop is lowered. The new convertible offers wider access to the luggage compartment, and an electro-hydraulic loading assistance system raises and positions the folded hardtop in the trunk as needed to ensure maximum utilization of the 7.8 cu. ft. (220 liters) of storage space available. The loading assistance feature makes sure that there is always ample access to the trunk whether the top is up or down. Two storage compartments on the right and left of the main luggage area are also available for stowing small items when the retractable top is up. Optional equipment items provide comprehensive driver information. 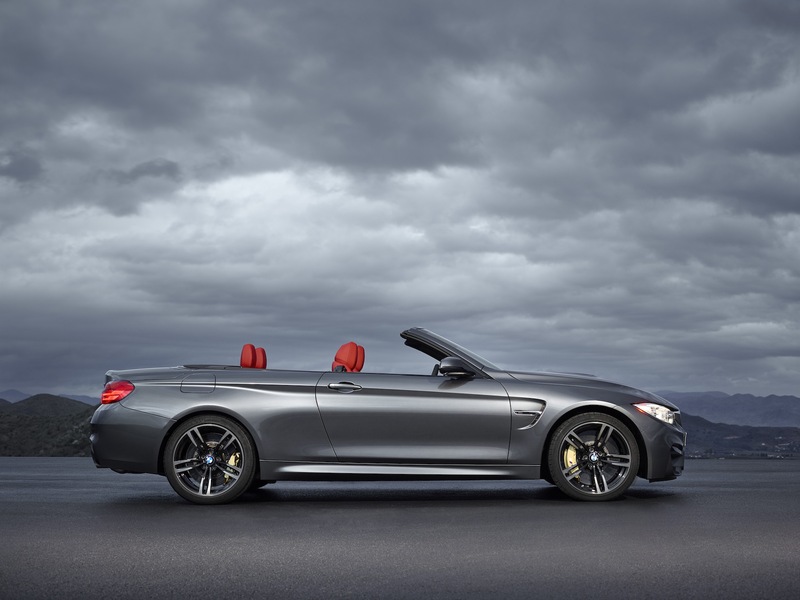 Needless to say, the BMW M4 Convertible is also available with the wide range of driver assistance systems and mobility services introduced under the BMW ConnectedDrive banner, some of which are already familiar from the BMW M3 Sedan and BMW M4 Coupe. Among the highlights are the new generation of the Navigation System offering extra capability, sharper graphics and 3D elements for the map display, Driving Assistant Plus, which warns the driver of a looming collision with a pedestrian or vehicle, the intelligent anti- dazzle LED High Beam Assistant, and Active Protection with Attention Assistant. The optional Head-Up Display comes with additional, M-specific functions such as a gear display, rev counter and Optimum Shift Indicator. 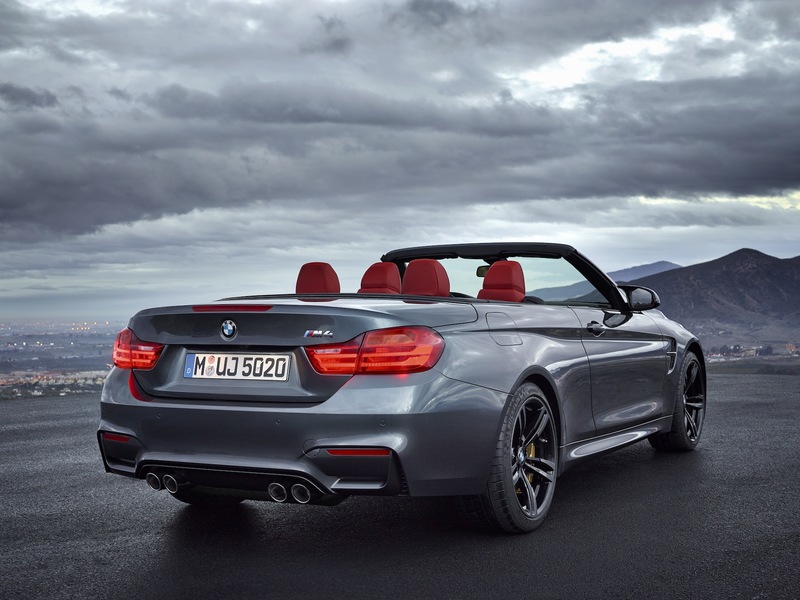 The new BMW M4 Convertible builds on 26 years of tradition. 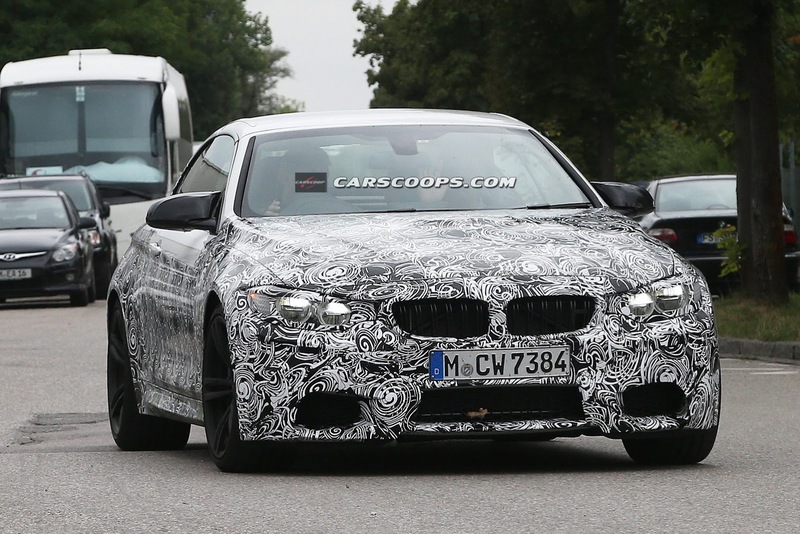 A Convertible has lined up alongside its two-door Coupe sibling as a firm fixture of the BMW M3 in all four generations. First generation: the racing car with the soft-top. BMW M3 Convertible was unveiled in 1988. It was based on the four-seater BMW 3 Series Convertible and powered by a four-cylinder engine initially producing 193 hp. In 1990, output was increased to 215 hp, enabling the open-top M3 to accelerate to a top speed of 148 mph – making it the world’s fastest four-seater series-produced convertible at the time. The first generation BMW M3 Convertible was not offered in the US. Second generation: new advances in safety technology. 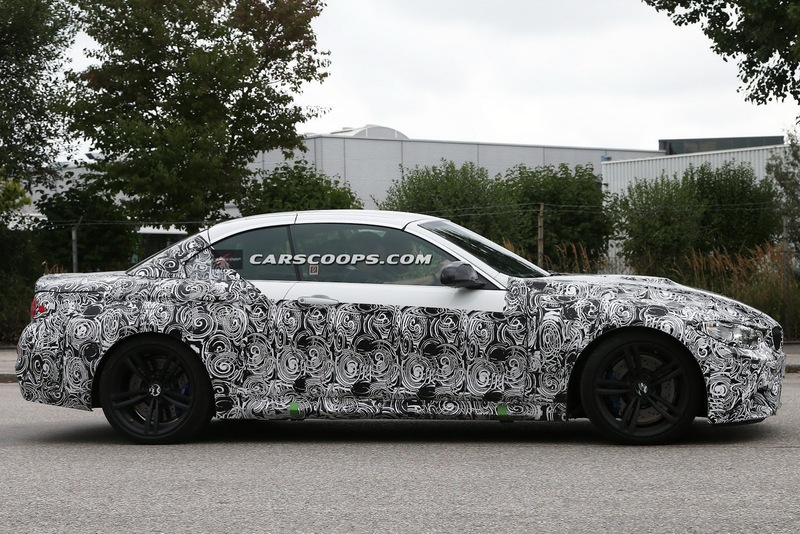 The powers that be in BMW’s motor sport department – now rechristened M GmbH – had planned an additional Convertible version of the second-generation BMW M3 (launched in 1992 globally and in 1994 in the US) from the outset. Based on the second generation 3 Series Convertible, the BMW M3 Convertible was launched in 1994 with a raft of innovative safety technology on board. For example, the rollover bars of the standard rollover protection system – positioned behind the rear seat head restraints – would spring up in an instant if the car was in danger of turning over, teaming up with the ultra-rigid windscreen frame to protect the passenger compartment. In the US, the second-generation M3 Convertible was powered initially by a 240-hp 3.0-liter inline-six that was later enlarged to 3.2-liters. Third generation: shining an even brighter spotlight on the car’s sporting character. In spring 2001, almost exactly a year after the starting gun had been fired on the third generation of the BMW M3, M GmbH unveiled the Convertible variant to join its Coupe stablemate in the line-up. It was identical to the M3 Coupe up to the A-pillar, but a striking beltline gave the open-top model an even broader, more powerful appearance. The BMW M3 Convertible therefore cut a more muscular, broader, more hunkered-down figure than any BMW M3 before it. And it had the bite to back up the bark; hallmark M attributes such as a 333 hp high-revving naturally-aspirated engine, beautifully tuned M suspension, a variable M differential lock and M high-performance brakes enshrined the BMW M3 Convertible as an elite athlete. Fourth generation: giving the sporting character an even sharper edge. Less than a year on from the debut of the fourth-generation BMW M3 Coupe and the four- door Sedan that followed a little later, BMW stirred the fires of anticipation among open-air driving enthusiasts with the launch of the BMW M3 Convertible in spring 2008. A 4.0-liter eight-cylinder engine generating 414 hp – and sustaining around 85 percent of its 295 lb-ft peak torque across a rev range of 6,500 rpm – gave drivers of the drop-top four-seater an impressive armoury with which to sate their appetite for sporty, dynamic corner-chasing and relaxed cruising alike. 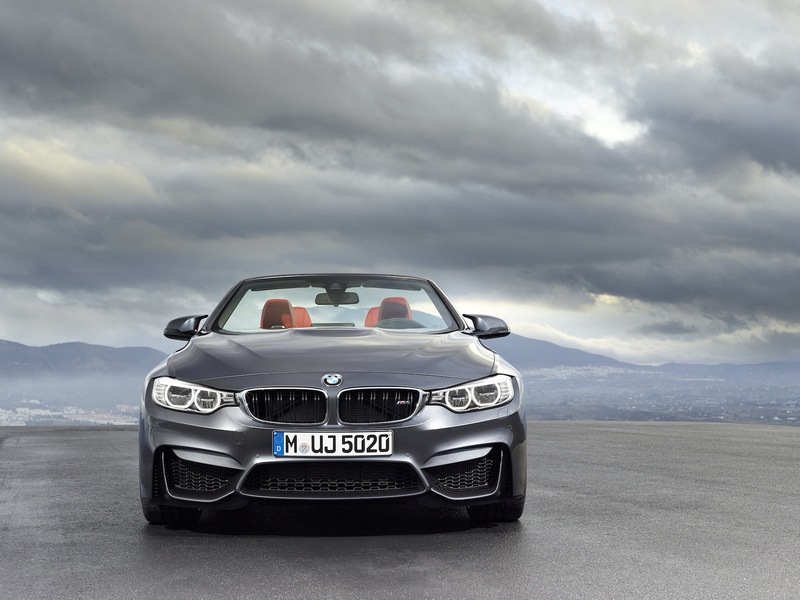 The new 2015 BMW M4 Convertible will arrive in US showrooms in summer 2014, in time to capture ideal top-down weather. Feb 2012 | 2.300 Mens. ¿porqué los retros tienen ese "cuerno" ? Yo lo siento, tenía un alta estima por el M4 desde que salió pero llegó el lexus rc300 h y me robó el corazón. Dic 2011 | 1.541 Mens. May 2009 | 6.158 Mens. Sep 2012 | 539 Mens. Sep 2007 | 1.177 Mens. Ene 2011 | 12.655 Mens. Bonito de cojones con esa combinación. Me gusta, pero lo veo sosisimo, sobretodo el perfil del coche. Ago 2006 | 11.574 Mens. Ene 2007 | 471 Mens. Abr 2007 | 2.855 Mens.